Manage Account & Details On Connect App. NEW Connect features available today ! ADVANCED + plan for husbands and wives. Orbit, your new travel and event management system. We listened to you and are pleased to offer our new Advanced Plus plan. On top of your current Advanced plan, husbands and wives can now access all the Connect features and the new travel and event management system, Orbit, for a minimal additional charge. Orbit is our unique online travel and event management system. Available on the Connect App, providing you with real time information about your upcoming travel plans. All future Community events will be powered by Orbit. Find who you are looking for faster with the simple to use search function. Tap and call – it’s that simple. All you need to know about a household on a single screen, with links to parents and married children, so you can view their page too. Find addresses quickly and get directions to guide you to their home with the integrated maps app. Rest assured that your personal contact information is safe within this highly secure digital app for Android. See who is local where and at what subdivsional meeting. Find addresses and get directions to main and subdivisional halls anywhere. Connect App is purchased as one monthly subscription per user. 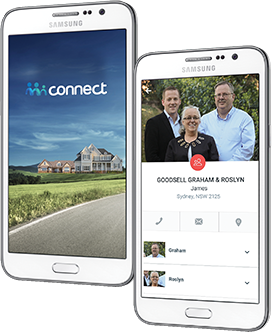 The Connect App for Android provides instant access to photos and contact information for community members across the globe. Combining photobooks and address books into one simple to use, live and highly secure system. Designed and developed to use on your Android device, to ensure top-class functionality and usability at all times. 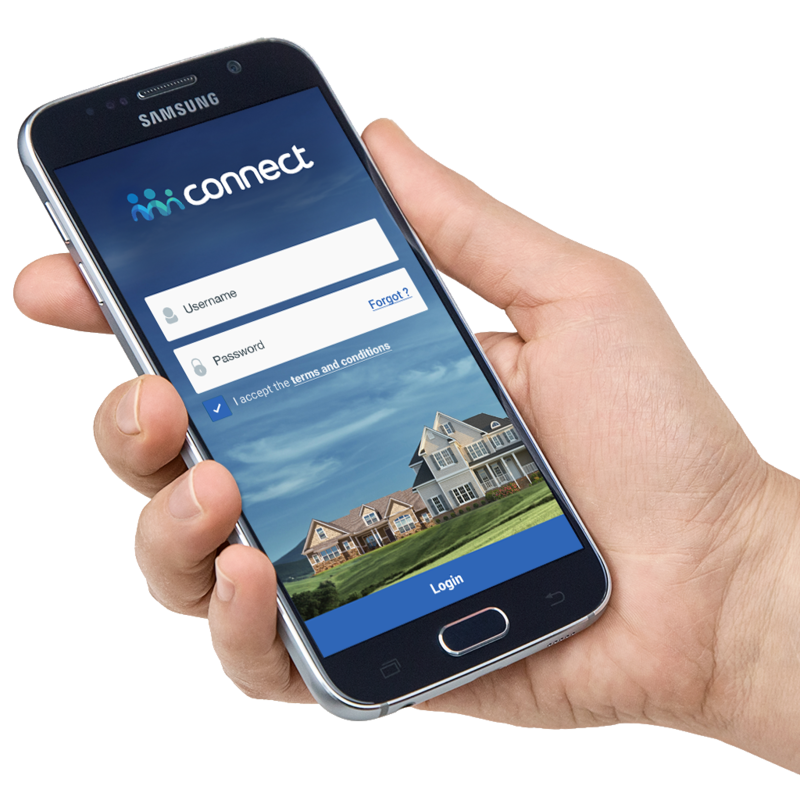 Are you looking for a particular address, a family member or just requiring directions to someone’s home – it’s all there with UBT’s new Connect App for Android. Send a message or simply tap and talk. 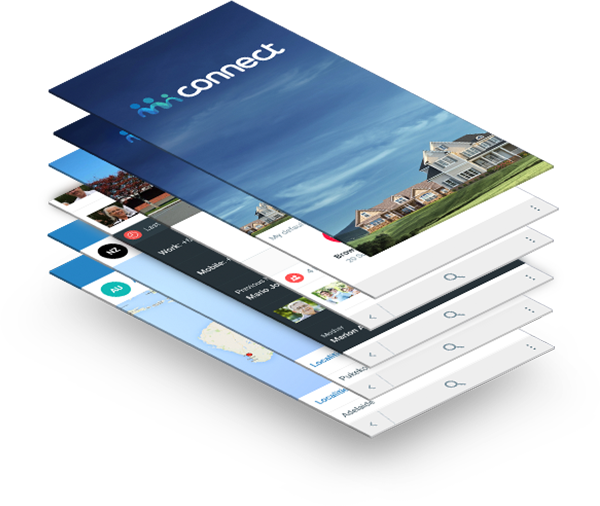 Connect App makes communicating with friends, family and other households easier, no matter where you are in the world. Connect’s search function enables you to find people faster and easier. Just type in the name and scroll through the results, it really is that simple! No need to get frustrated when you can’t find someone in the locality you picked, just use the search feature, scroll, tap and view. Once you have completed your purchase of Connect, there is a verification process that may take up to 48 hours. Supported by a global team of enthusiasts, Connect is the place to go for the latest, most up-to-date information on all households across the globe.With the ability to continually update data, you can be assured that your household will be accurate and correctly depicted through Connect. Life has never been so simple! *Please note that all data usage charges apply when downloading updates, therefore we recommend that you are connected to Wi-fi for syncing. *Connect is available to approved subscribers only. *Connect is only available to Android users on Streamline3. Requires Android 6.0.1 or later, and must be a Streamline 3 enabled device. A minimum of 600 MB of storage is required. Phone also requires a Wi-Fi connection for data syncing. How do I use the Connect app on my Android Phone? Check you are connected to Wi-Fi. Log in to the app using your Username and PIN. Tap on the Streamline 3 App. Tap the left hand menu bar. The Connect app should download and install automatically. Once installed, log in to the app using your Username and PIN. View and tap to close the instruction screens. The app will automatically start syncing with the database. You can use the app during this syncing process, but the performance may be slower until the sync is 100% completed. Note: If you move away from Wi-Fi during the syncing process, the syncing will stop, then continue again next time you are connected. I can't log in - my website password is incorrect. How do I login? Click on the 'Forgot Password' link on the Connect website login page. Type in your Username, and you should receive a password reset email. My account is locked. How do I get it unlocked? To change your username, login to the Connect website - go to 'My Details', select the 'Settings' tab, click Edit on the Username line, and update your username (must be a valid email address). An email with verification instructions will be sent to you; please follow these instructions to complete the verification process. Username change will not take effect until verification is complete. I can't log in - my Connect app PIN is incorrect. How do I login? Click on the 'Forgot' link on the app login screen. This will then take you through to the website to log in. Once you have logged into the Connect website - go to the 'My Details' and 'Settings' tab, and reset your PIN. Login to the Connect website, go to the 'My Details' tab, select 'Settings' and then click 'Edit' on the PIN line. Enter your current password (not PIN), new PIN and confirm the new PIN. Then click "Change PIN". Login to the Connect website, go to the 'My Details' tab, select 'Settings'. Click 'Edit' on the password line, update your password, then click "Change Password". There is no Primary Subscription available at the checkout stage? There is no active Primary subscription available which could be due to only having a Premium plan on Connect. You will need to upgrade to the Advanced plan prior to purchasing the Advanced Plus plan. What is a Primary Subscription? The Advanced subscription that is linked to an Advanced Plus (Secondary) subscription..
What is a Secondary Subscription? The Advanced Plus subscription that is linked to the Advanced (Primary subscription). I changed my details but they're not reflecting in Connect. What do I do? Details are manually updated by the database team. The details will reflect on Connect once an admin has made the changes in the database. Can I sync when not connected to Wi-Fi? Yes, however this will use your mobile device data. It is advisable to connect to Wi-Fi before syncing. Can I hide my mobile number from showing to other users on Connect? Yes, login to the app or the website, go to the 'My Details' tab. Click 'Edit' on the 'Preferences' line, and untick the 'Display Mobile Number' checkbox. Click 'Save Preferences'. Is my data secure on Connect? This app is only available for the members of the Plymouth Brethren Christian Church. All the data and information can only be accessed by the users with accredited login credentials for the Connect app. Stringent user authentication steps are in place to make the Connect app extremely secure. Capturing of screen shot(s) of the Connect app on the mobile phone is disabled. Connect app's data and data transmission use high security encryption (using SSL 2048-bit). If your mobile phone is lost or stolen, the Connect app can be remotely disabled and removed from the phone using Streamline 3. Connect app's database on your phone will be automatically erased in a situation where no internet connection is detected on your phone for a period of time. Please notify UBT immediately if your phone is lost or stolen so that we can remove the Connect app. Why can't I find the Connect app on my mobile device? The Connect app should be automatically loaded to your phone and found amongst the other mobile apps. Ensure that you are on a Streamline 3 Android Phone. Try refreshing Streamline 3 if you are still unable to see the app on your Android Phone. How do I change the default locality showing on my home page? Click on the 'Change Default Locality' tab from the menu, and select the Country and Locality that you wish to appear on your home page. Why can't I find the member/locality I am searching for? Please check for spelling mistakes. Perform different types of searches to get the results. It could be that you are searching with the users other name. Try with Surname only in a country and then identify the person that you are looking for from the displayed results. Why is the pin position of my household location is incorrect? Check that your address is correct. Please note that there are some countries where Google maps data is incorrect. How do I update my family details in Connect? Go to 'My Details' tab from the menu, enter updated details into the correct fields, click 'Submit Change Request'. This will submit your request to the database admin. The updates will reflect in Connect after the request has been actioned by the database admin. How do I update my photo in Connect? Go to the 'My Details' tab from the menu, tick the 'Photo Updates' checkbox, and click 'Submit Change Request'. Note, we will contact you to initiate the new photo process. Why do I get a message, "Update Subscription" when trying to look at some households? You are on a Premium Plan, if you would like to upgrade, go to the UBTeam website and purchase the Advanced Connect product. Why can't I see all countries? I purchased Connect and haven't yet received my login details. When will they arrive? Each user needs to be verified by a locality admin before gaining access to Connect. This verification process may take up to 48 hours. How do I upgrade to an Advanced Plan? Login to the UBTeam website, select the Advanced Connect product and go through the purchase process. At the checkout, you will need to select your Username from the 'Existing Subscription' list. Your earlier subscription will be automatically cancelled. How do I downgrade to a Premium Plan? Login to the UBTeam website, select the Premium Connect product and go through the purchase process. At the checkout, you will need to select your Username from the 'Existing Subscription' list. Your earlier subscription will be automatically cancelled. Why do I have access to Advanced plan data after recently downgrading? Your Advanced plan access will be available until the next billing date of your subscription. Can I purchase connect for someone else? Yes. Please purchase a new subscription and at the checkout enter Name, email ID and locality of the actual user you are buying it for. Login to the UBTeam website, go to 'My Account', and select 'Connect Subscriptions' along the left hand tabs. Click on the current active subscription, then click the 'Cancel' button. You will then need to select 'OK' on the pop-up cancellation message. Will there be a Connect app version for BlackBerry devices? No, UBT has made the decision to continue with the Android version only, due to its improved functionality and usability, ensuring a continuous level of top-level user experience with the Connect app. There are a selection of packages available to you on Android if you would like to transfer from your BlackBerry package and device. Please note that due to high volumes, it may take up to three weeks to process and receive your new Android Phone. All new sign-ups will need to be verified and this may take up to 48 hours. I am locked out – how do I login again? If you are the account owner, please click on the reset password link and enter your username. You will then be sent an email with a link to click and reset your password. If you are not the account owner, you cannot reset the password. Please feel free to purchase a Connect App plan via the website. Can I cancel my Advanced Subscription? We also have an Advanced Plus plan. Yes, you may cancel your Advanced Subscription at any time, via the website. However, please note that when cancelling your Advanced subscription it will automatically cancel your Advanced Plus subscription as well. The CONNECT WEBSITE and the mobile application CONNECT APP are both referred to in these Terms and Conditions as UBT APP. UBT APP is owned and operated by UBT Marketing Pty Ltd ACN 162 091 796 as trustee for UBT Marketing Trust ABN 84 296 716 805, a licensee of The UBT Trust ABN 45 551 293 138 of The Precinct, Level 6, 10 Herb Elliott Avenue, Sydney Olympic Park, NSW (“UBT”, “we”, “our” or “us”) for the benefit of individuals interested in UBT’s services. The licence granted to you for the access to and use of the UBT APP will continue while your subscriptions for the UBT APP remain current and paid up in full. You are reminded that our goods come with guarantees that cannot be excluded under the Australian Consumer Law. You are entitled to a replacement or refund for a major failure and compensation for any other reasonably foreseeable loss or damage. You are also entitled to have the goods repaired or replaced if the goods fail to be of acceptable quality and the failure does not amount to a major failure. (i) Your use of the UBT APP is at your sole risk. The UBT APP is provided on an “as is” and “as available” basis. We make no warranty, and disclaim all responsibility and liability, for the availability, timeliness, security, and reliability of any related software or application, or other products, services, information obtained through the UBT APP. (ii) We have no responsibility or liability for the deletion of, or the failure to store or to transmit, any content and other information maintained or transmitted by the UBT APP. (iii) We are not responsible for the accuracy or reliability of any information or advice transmitted through the UBT APP. We may, at any time, limit or discontinue your access to UBT APP. (iv) You are responsible for ensuring that the UBT APP is updated regularly to the latest available version. (vi) UBT is not responsible and accepts no liability for loss or damage arising from UBT APP failures or downtime. (i) The user credentials provided for access to the UBT APP are for your use alone and are not to be shared with any person or entity. (iv) Should any device that has been loaded with the UBT APP be lost or stolen you will notify UBT at the first available opportunity so that the UBT APP can be disabled on that device; you will be responsible for any loss or damage that occurs until you have given such notice. (v) Share data, information or photographs with any person who is not a member of your immediate household or a member of the community known as the Plymouth Brethren Christian Church. Certain functions of the UBT APP may require the app to have an active internet connection. The connection can be Wi-Fi, or provided by your network provider, but UBT cannot take responsibility for the UBT APP not working at full functionality if you don’t have access to Wi-Fi, and you don’t have any of your data allowance left. If you’re using the UBT APP outside of an area with Wi-Fi, you should remember that your terms of agreement with your network provider will still apply. As a result, you may be charged by your network provider for the cost of data for the duration of the connection while accessing the UBT APP, or other third party charges. In using the UBT APP, you’re accepting responsibility for any such charges, including roaming data charges if you use the app outside of your home territory (i.e. region or country) without turning off data roaming. If you are not the bill payer for the device on which you’re using the UBT APP, please be aware that we assume that you have received permission from the bill payer for using the UBT APP. This UBT APP may from time to time contain hyperlinks to other mobile applications or websites. Such links are provided for convenience only and UBT is not responsible for the content and maintenance of or privacy compliance in relation to any linked mobile application or website. Any hyperlink on our UBT APP to a mobile application or website does not necessarily imply our endorsement, support, or sponsorship of the operator of that mobile application or website or of the information and/or products that they provide. Copyright in the content on this UBT APP is the property of UBT or owned by other third parties who have granted licence/s to UBT. Material on this UBT APP may be viewed for your personal reference and for the personal reference of persons who are part of your immediate household. Unless otherwise permitted by law, the material and information on this UBT APP may not otherwise be reproduced or displayed and may not be distributed to any person or incorporated into any other mobile application or website or materials without prior written approval from UBT. Intellectual property rights for software, scripts, programming code, animation, and processes used in this UBT APP are the sole property of UBT including without limitation, all copyrights and other proprietary rights inherent therein. You are not allowed to attempt to extract the source code of the UBT APP, and you also should not try to translate the UBT APP into other languages, or make derivative versions. Third parties may intercept or modify transmissions to and from this UBT APP and it is possible that mobile and computer viruses or other defects may be contained in files obtained from or through this UBT APP. UBT is not liable for any damage that may be a result of your use of this UBT APP or of any linked mobile applications or websites. UBT reserves the right to anonymously track and report, to our third party statistical service providers, your activity in the UBT APP. We reserve the right to cease operating the Application at any time, without notice. I don't understand why anyone wouldn't take it up... it is a basic tool for us & is becoming more and more useful as extra features get added. First point of reference for any answers that could possibly be found on it. Love it! Great product with room for improvement. Connect is an excellent resource for personal use. The ability to tap through to connected households and view married children under households is great. The contact phone numbers and home addresses are extremely useful. This is a great app, with considerable potential for further development. We can see a huge amount of time and resources have been invested to date in getting this app live. Looking forward to seeing further improvements incorporated into this platform. A lot of hard work has gone into this. Someone's gone to a lot of effort getting this set up. It is very well done!!! Great way to learn the community members.